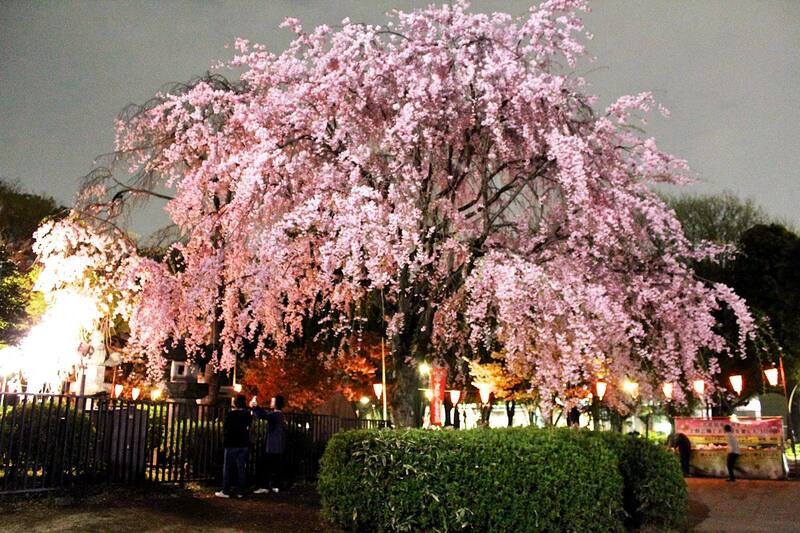 I remember my first cherry blossom sighting back in Washington D.C. during the Spring of 2013. It was my first glimpse of abundant blooms in the cool weather and it was absolutely glorious. Several cherry blossom trees (gifts from Japan, apparently) encircled the Tidal Basin area and it was just as I hope it would be and more. 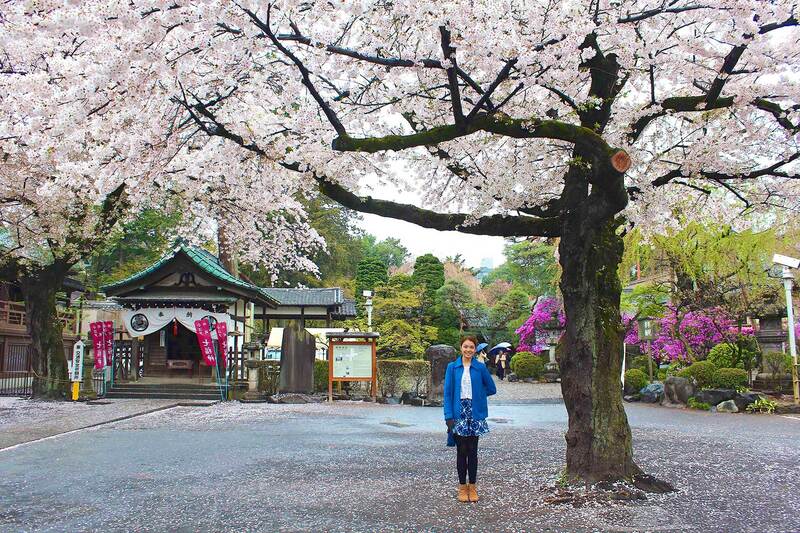 Unlike the US, Japan takes the experience of Hanami or viewing these beautiful flower sakura (ie. Cherry Blossom) trees to a whole new level. My first two visits to Japan happens, fortunately, to be two consecutive springs at the peak of sakura blossoms. 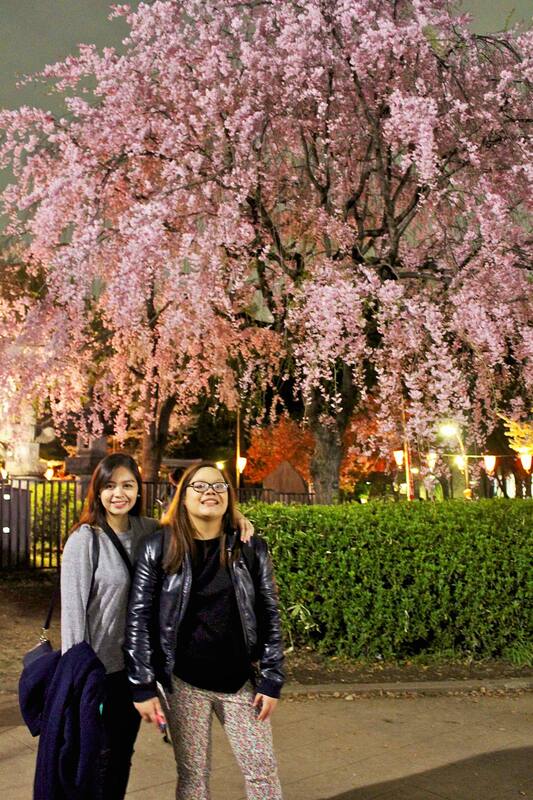 A friend who has experienced the Hanami festival in Japan mentioned that being around these trees brings out the inner dreamy romantic in you. As this season is fast approaching, I will share some of my favorite viewing spots in Japan by dividing it into two separate blog posts. 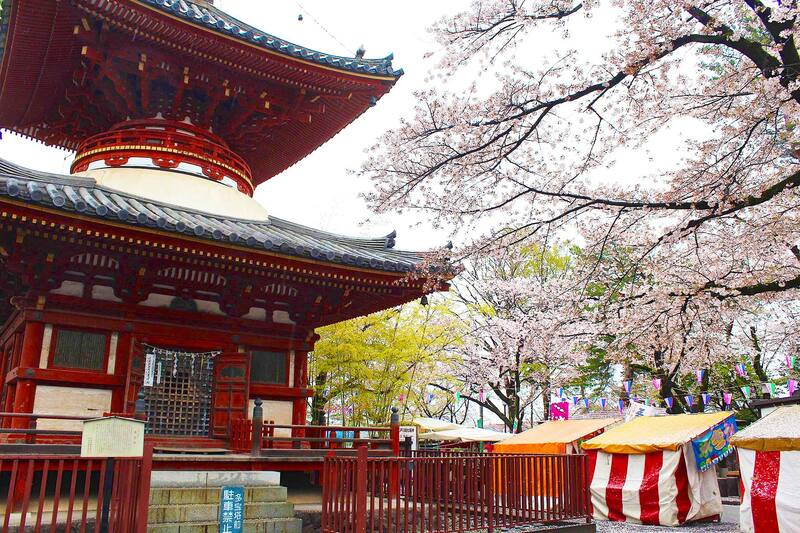 If you’re heading to Tokyo and fancy day-trips outside the insane city for more sakura viewing, I have also added really interesting visits to Kawagoe and Odawara as well. Let the photos load, it’ll be worth it. If you are lucky enough to plan your Tokyo trip during the peak spring season, I highly suggest staying in or visiting the Nakameguro area. 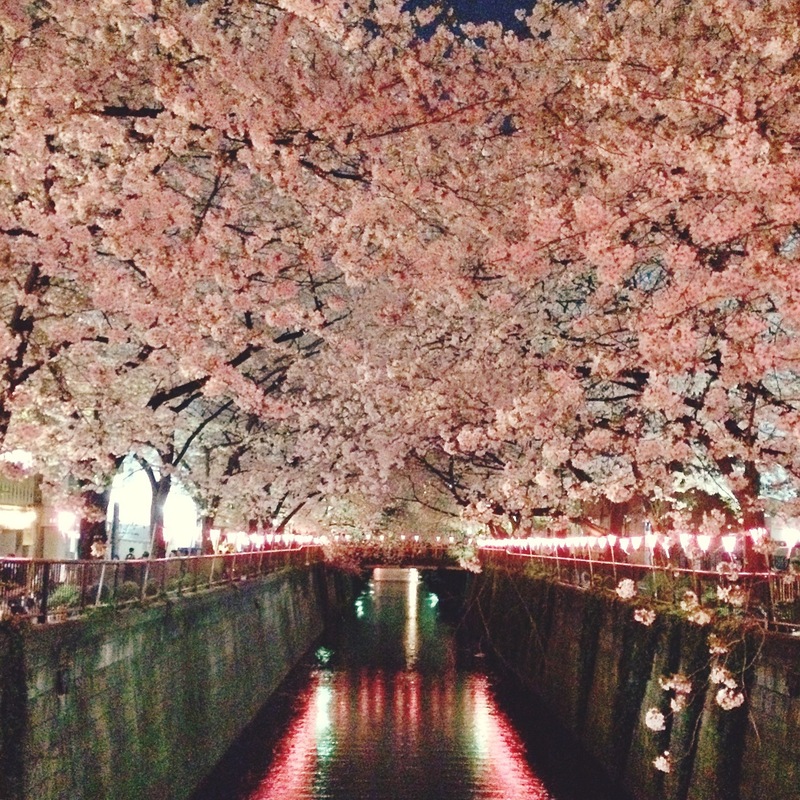 The illumination of the Nakameguro river during sakura season (featured in the image above) is a sight to behold this time of the year. 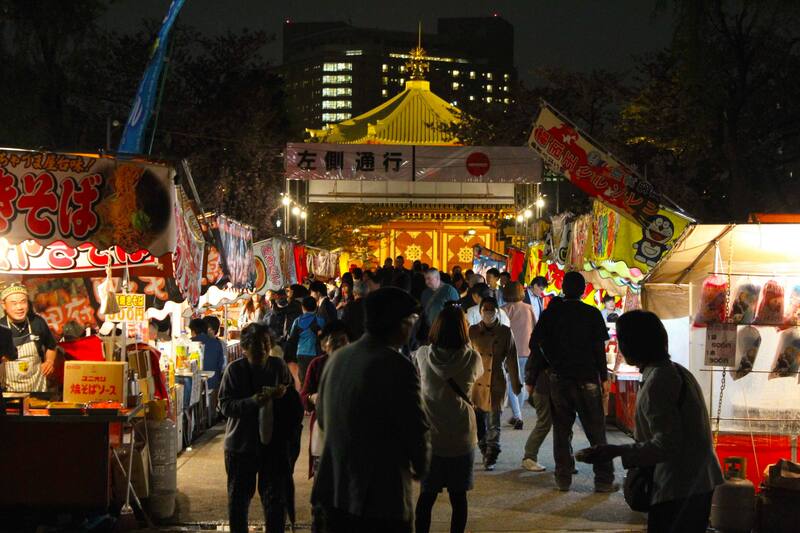 It is a legit sakura festival where pink lanterns line the river banks and several vendors set up stalls along the narrow side streets selling sakura-inspired/infused festival fare including pink champagne and sakura sangria by the glass. We did not have decent evening shots as it gets incredibly crazy and difficult to photograph. This is taken from my old iPhone. It felt great knowing that we get to experience these magical evenings every night since we deliberately chose to stay near the river. FYI: the 2018 scheduled illumination is from March 24 to April 9 (6pm to 9pm). Note that these dates are subject to change. It also gets extremely crowded on the weekends, so best to visit on a weekday evening, if you can. Despite the craziness of the festivals at night, it would always baffle me how incredibly clean and orderly the narrow streets are the next morning. There would be hundreds of stalls serving mostly food and even more tourists eating and drinking in the streets and public benches. This kind of scenario would look totally different here in Manila. Apart from the gorgeous sakura trees around, this area is such a nice place to lounge around and imbibe that kind of young, hipstery, slightly more urban lifestyle. Cafes and restaurants are sprawling everywhere; together with really unique lifestyle/retail indie brands that you cannot probably find elsewhere. We loved our stay here, despite the fact that our hotel was a kilometer walk from the station. Seeing the illuminations at its peak and up until the sakura trees are bare every night while coming home was a hashtag blessed experience. Since this area is frequented by tourists and locals alike, we took advantage of staying near the area by waking up at dawn to be able to take photos minus the insane crowd. 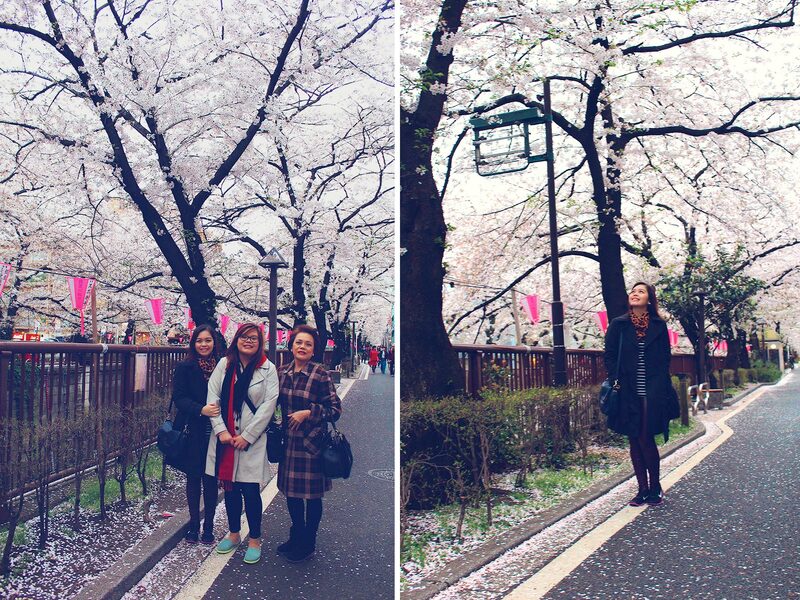 We were instantly mesmerized by how more exquisite these full bloom sakura trees were in the morning. The morning air was crisp and cold while we were walking by the river. 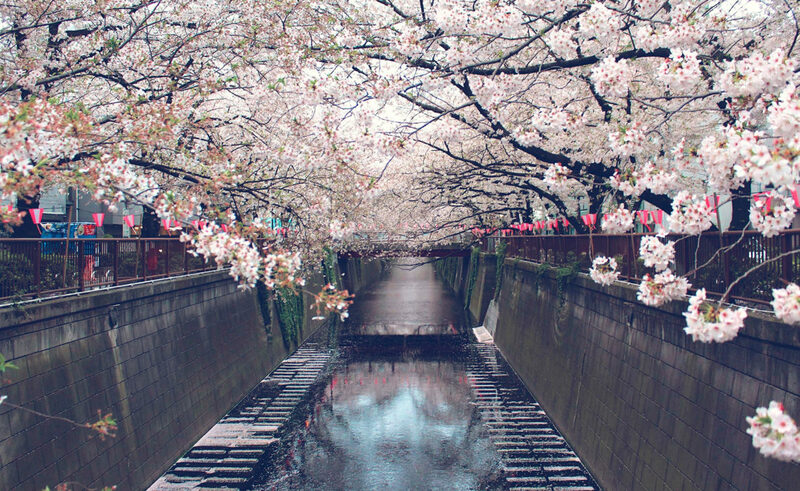 Delicate pale pink petals would slowly fall from the trees and into the narrow streets as shown above. It was the single most perfect spring moment of my life. We were also able to visit the famed Ueno Park. 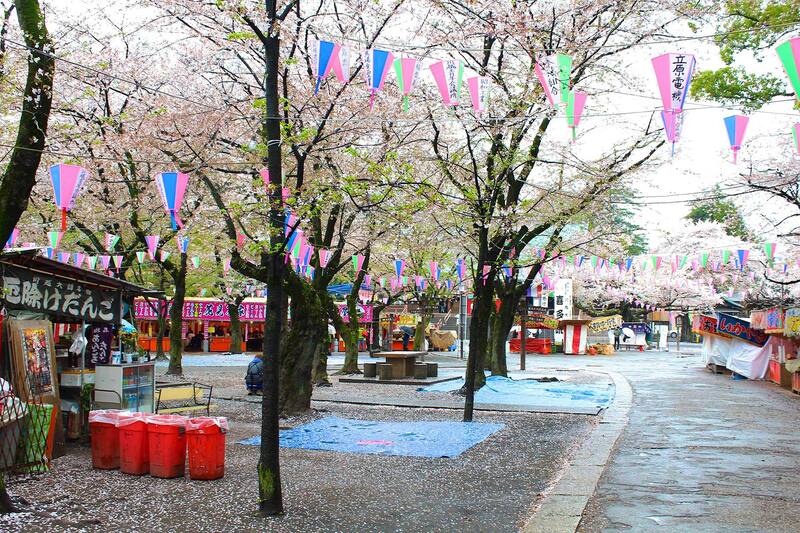 This area is notoriously popular for evening Hanami events. We visited in the late evening after some nearby shopping in the area and it was as lively and as vibrant as I expected it to be. 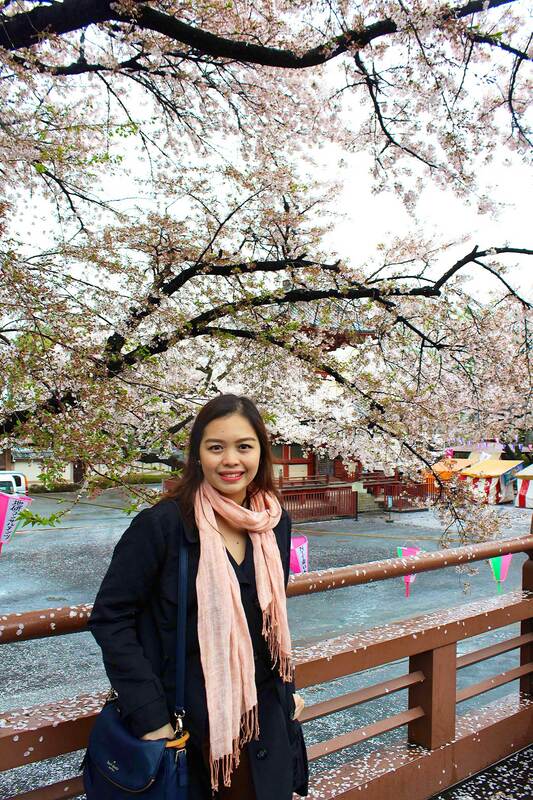 The park is huge and offers a variety of sakura trees in various shades of pink. The park is great for evening strolls as there were also a lot of festive areas to waste your time and money in. You’ll chance upon several Hanami picnic parties where Japanese teens and adults would lay their own mats and bring their own food under the sakura trees. It felt like such a festive community who truly appreciates the beauty behind these romantic trees. 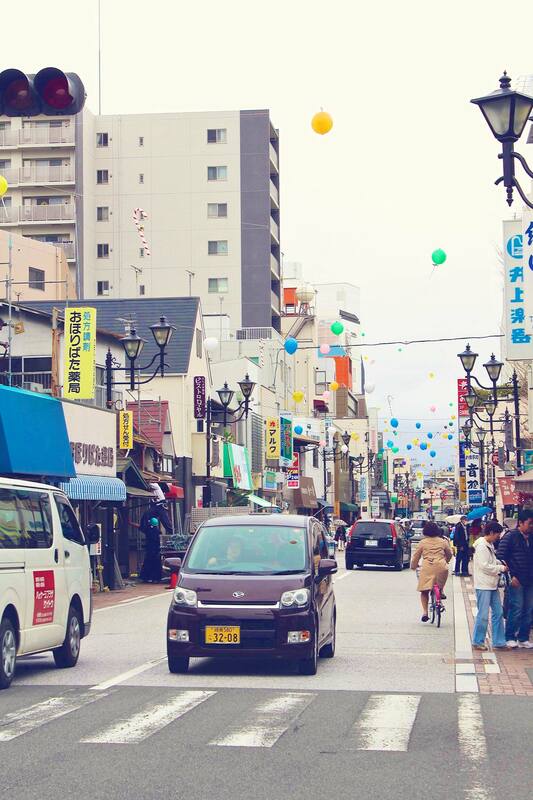 Odawara, situated in the Kanagawa prefecture, is just an hour or so away from Tokyo. This was merely an accidental part of our itinerary. On the same perfect spring day I mentioned earlier, we headed to Hakone for the Mount Fuji experience but, unfortunately, due to the heavy rains and winds on top of the Hakone Ropeway that day, we had to change plans. That was an intense and crazy experience and we still have yet to actualize that part of the itinerary. NTS: Must go back. But that’s another story. Although that was quite a major hiccup in our itinerary, we did end up in the lovely town of Odawara. The weather was a lot calmer down the mountain and the sight of more full blooms and colorful balloons in the air greeted us warmly. The town had that laid-back but still vibrant feel to it. It was a lot less touristy than the previous places we have visited in Japan. Since this was not part of our itinerary, I remember struggling to find a place to eat. There were hardly any restaurants with English menus or staff. We ended up in the fool-proof Yoshinoya that day and some Baskin & Robbins right after. We had to Google Maps our way as we did not plan any routes. Although this was initially supposed to be a very busy day, we ended up with quite a more relaxed itinerary. 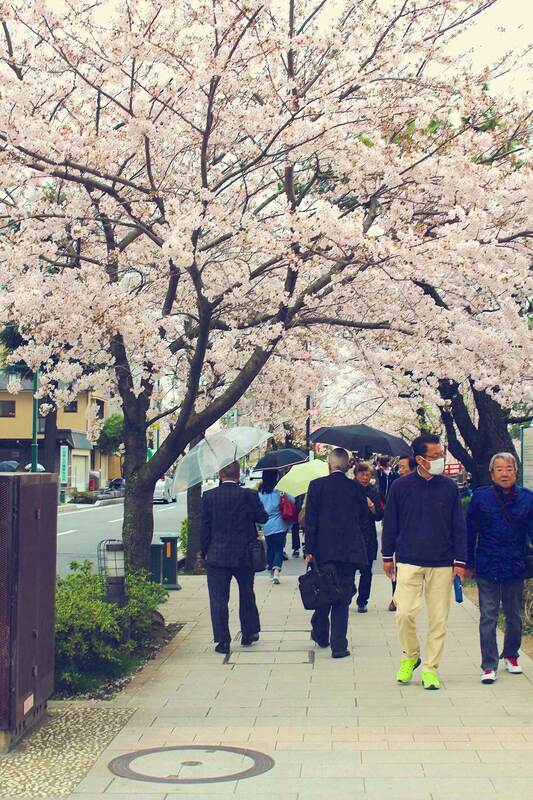 While walking quite aimlessly upon arrival in one of the bus stations in Odawara, we immediately caught glimpse of several sakura trees in the street. 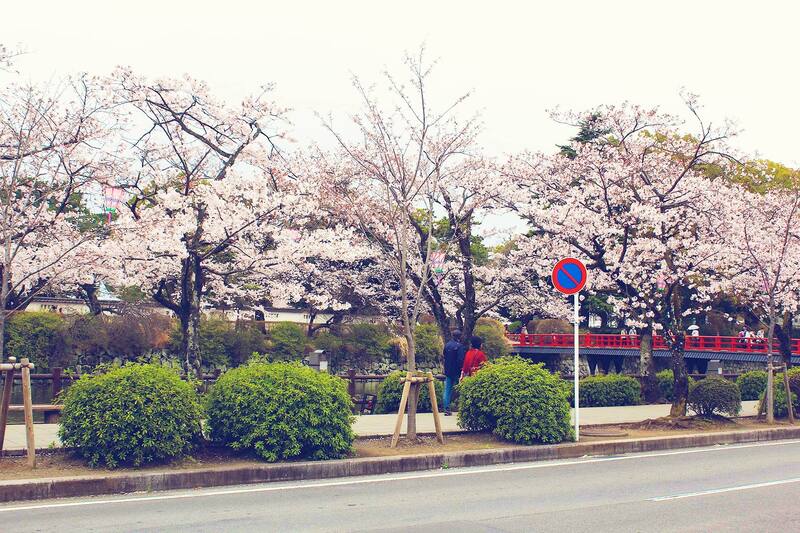 Apparently, these trees will lead you to the famous Odawara Castle. It is also the most popular sightseeing spot in Odawara. The castle tower commands a view of the whole city and ancient objects such as weapons and tools are also on display. 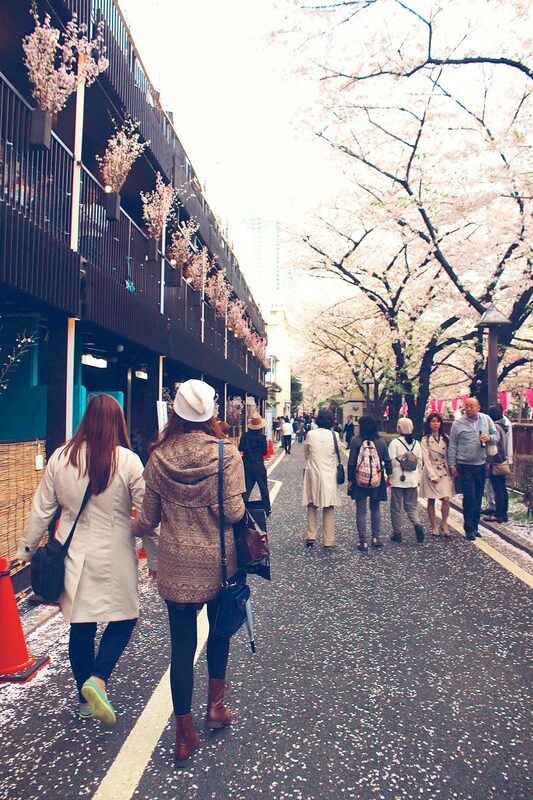 Strolling under sakura trees is still my favorite. I love the fact that the locals are just as in awe and mesmerized as the thousands of tourists that flock Japan this time of the year. 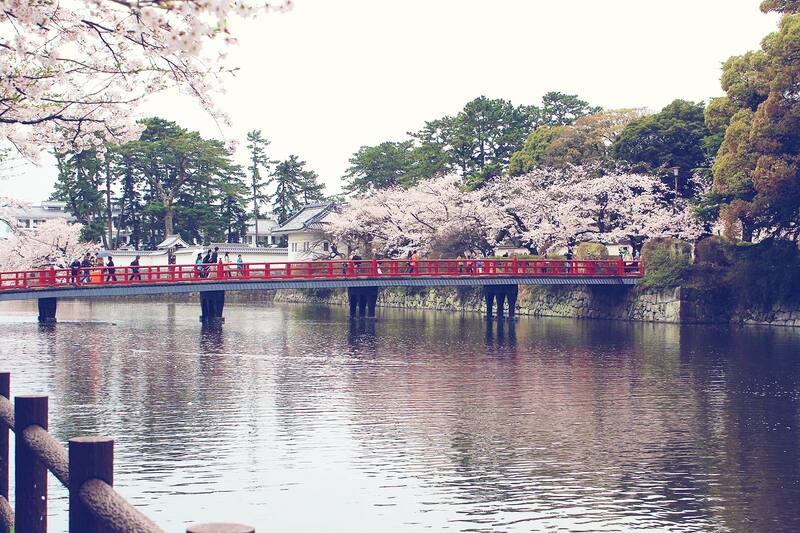 The orange bridge to Odawara castle is beautiful and picturesque. Like almost all castles, it is surrounded by a serene lake. If you wish to discover more traditional towns during this season, I highly suggest taking a side trip to Odawara right after Hakone. Kawagoe or known as “Little Edo” is a good day trip to take from central Tokyo. It is famous for the main street, lined with Kurazukuri or clay-walled warehouse-styled buildings reminiscent of the iconic Japanese feudal period, selling colorful candies. Upon arrival at Kawagoe, we bought the Koedo Kawagoe Loop Bus Free Pas and a map of Kawagoe to know some of the more worthwhile stopovers. The pass allows you unlimited travel on the Koedo Kawagoe buses and costs 300 yen. In the bus, they have a monitor with sightseeing information. This is another blog post waiting to happen in the future. I’d like to focus on some more sakura sightings. One of the first stops on the bus route was Kitain Temple, a well-known building from the former Edo Period. All of the photos here are shot from this location. The temple grounds are pretty big. Apart from the temple, there is also a beautiful pagoda (photo above) and a couple of Buddhist statues located in a nearby garden. It was a bit damp and rainy that day. But that did not stop us from having to appreciate the vibrant colors of spring and the romantic sight of sakuras that once again greeted us upon alighting the bus. 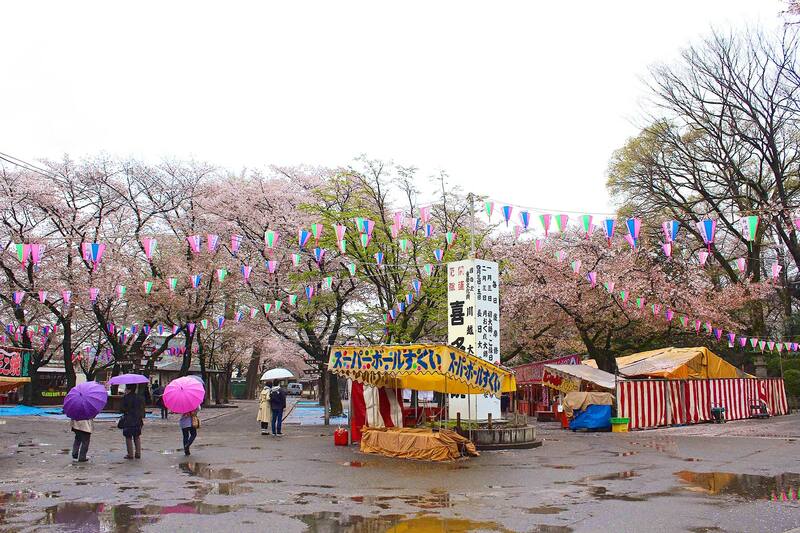 The same pink and white lanterns are hung above towering sakura trees that day showing that there were definitely a lot of festivities done here. We probably arrived either a day or two late. 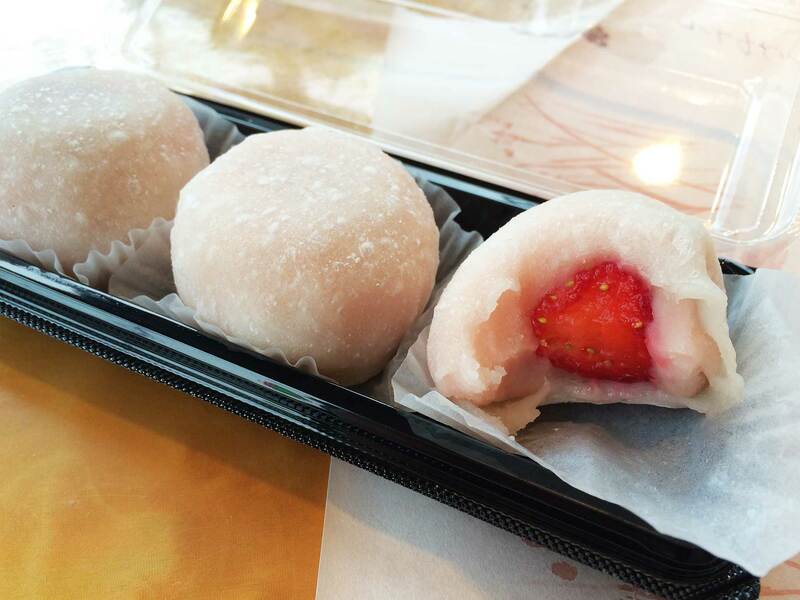 We spent quite some time here and even grabbed some snacks outside the temple including this absolutely AMAZING STRAWBERRY MOCHI. PLAN AHEAD. Know your itinerary. If you need help making one, let me help you out. Research the cherry blossom forecast calendar vis-a-vis your itinerary. Do not feel bad if you may be a day or two late, some of these trees bloom at different periods. If you will be there for a week, you will spot these blossoms. This season in Japan is CRAZY. 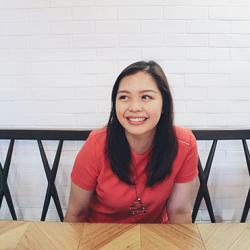 Expect a lot of people — locals and tourists alike. I mean, if you had trees like this outside your house or within your city, you would probably want to spend as much time outside, right? Book your tickets online if you can. Reserve shinkansen tickets upon arrival. Wake up early and catch the first few trains to avoid rush hour and get the best photos. Wear vivid and solid colors to get the best kind of photos. Think cobalt blue, rich purples, and burgundy. This will look great when juxtaposed with the pastel pink colors. More importantly, wear comfortable shoes! My sister, Rubie, in her gorgeous blue coat. Can’t you just imagine having a picnic under this tree? Perhaps my last tip is to try to relax. I understand the powerful urge to get to one place at a certain time and to visit all those listed in your itinerary. Believe me, I know. But in order to appreciate the beauty of this season, try going at a more leisurely pace. Stop and admire the trees. Revel in their fleeting and mesmerizing beauty. 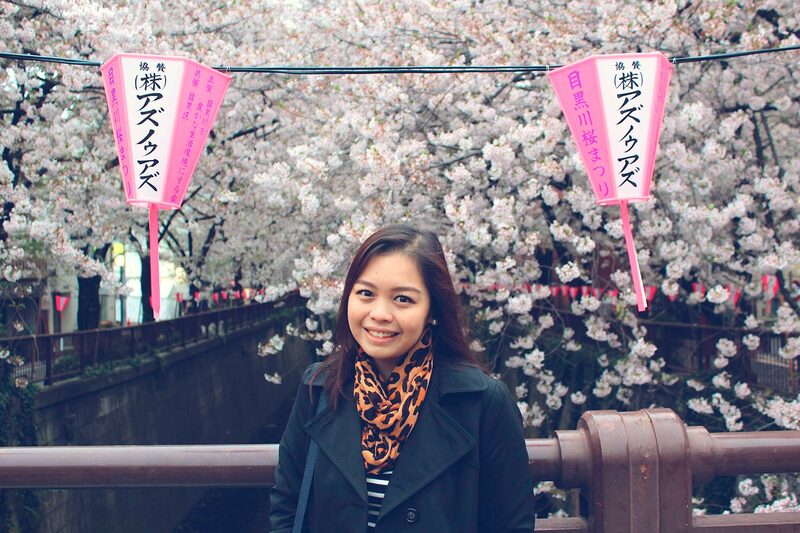 Stay tuned for round 2 of Sakura posts featuring the Kansai region. 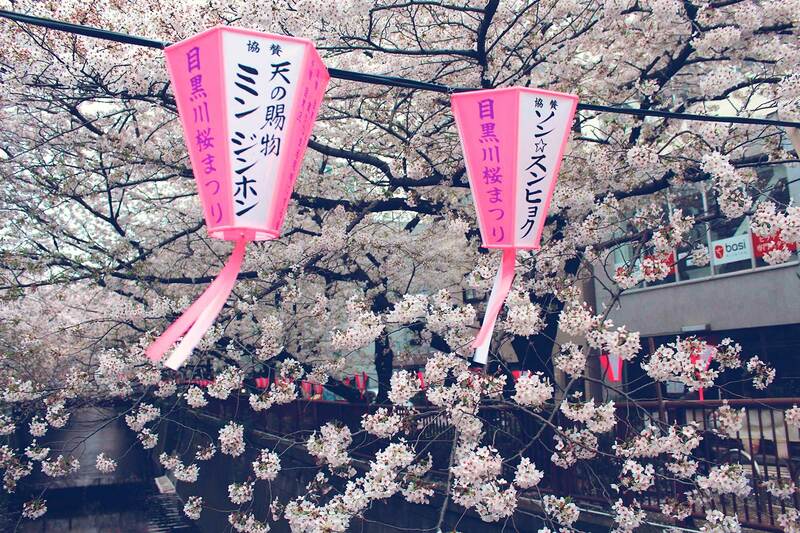 its one of my life goals to see the cherry blossoms in japan. i almost couldn’t live further away if i tried but i will make it one day. Wow! I would love to visit those places someday. Beautiful photographs!